"My provider has the best bedside/office manner. Communication, caring, attentive, informative, encouraging, medically concerned, able to related easily great insight care for patient." "Dr. Sawhney was terrific. Very pleasant and professional." "My wife and I are both patients of Dr. Sawhney and are very hppy to be in her practice. We both think we are getting the best possible cardiology care from her and the entire Team." "I'm so grateful for Dr. Sawhney and the rest of the team! I feel confident that my care is in excellent hands and I'm extremely comfortable interacting with the entire team from the tech staff to the back office and the receptionists. The team goes above and beyond to provide exceptional care." "She is an excellent physician & takes her time to be sure you understand." "I give praise to all my friends regarding my doctor. She is very professional and yet "down to earth."" "Dr. Sawhney is a very personable professional and a very compassionate doctor - We should have more like her. " "Never felt rush. Answers to my questions were answered "in lay terms" to my satisfaction." 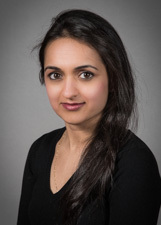 "Dr. Sabrina Sawhney was excellent in every question about!!!" "Never felt rushed. Dr. was going to order blood work, but as I had recently had it done in ER, she obtained the results and even called me to say she received the info needed and will see me at my next appointment. I was impressed. " "Very good visit. My two tests are coming up tomorrow!" "I was for first time at your hospital and I have good impression." "All questions and concerns were answered and I never felt "rushed."" "Feel very comfortable with the doctor. Everything is explained and she doesn't rush through my visit." "should be more professional or reliable." "Spent as much time as I required to answer all my questions w/o making me feel I was taking too much of her time." "They spent time explaining their knowledge about my sickness." "I felt at ease w/service." "I never felt "rushed." Questions were answered, even to the point of drawing the heart to explain my situation. I was very impressed." "Excellent care very caring easy to talk to."